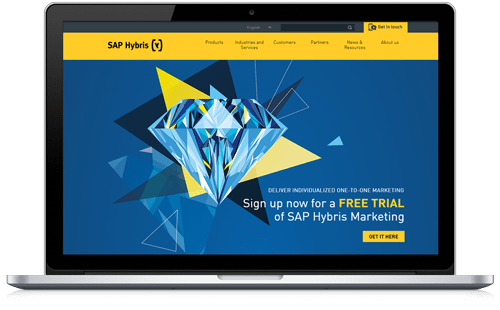 Use Hybris to create your online store. Everything you need to start selling online – today. 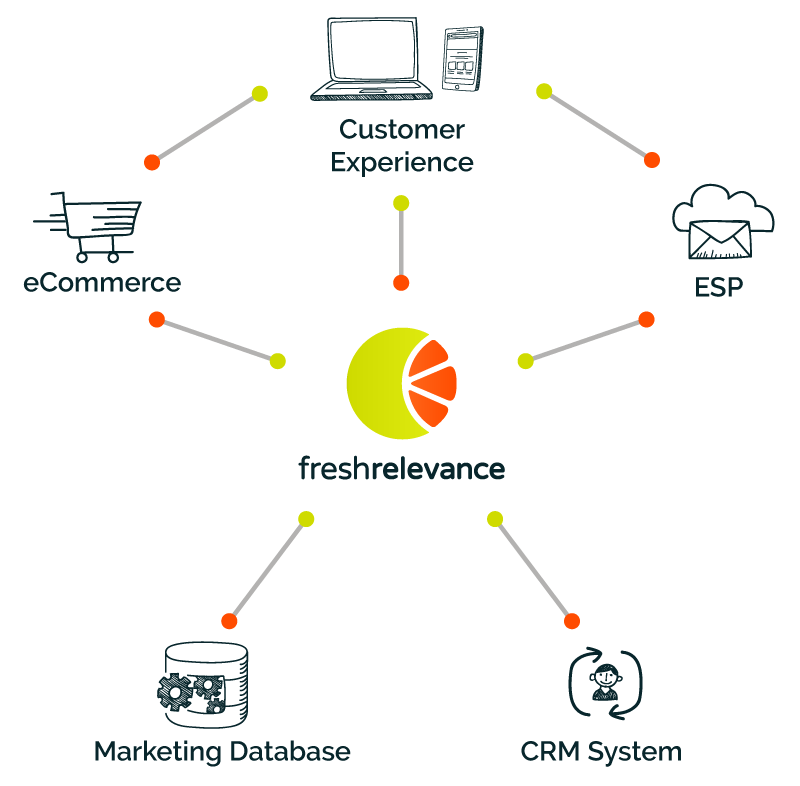 Fresh Relevance sends real-time, cart abandonment and browse abandonment emails to the customers of your Hybris store. The emails are personalized, including product pictures and links back to your store, making it simple for lapsed customers to return and buy. Support for standard Hybris sites within a few days (we do all the work), and complicated sites by agreement. You can immediately increase sales with leading-edge browse and basket abandonment recovery, then extend this to customer-specific programs that send multiple emails. Next personalize your website with product suggestions and SmartBlocks, introduce advanced real-time content into all your email marketing, improve all your segmentation and targeting with real-time analytics, and load real-time activity data into your CRM or Analytics System. Customize your web engagement with a variety of tools that personalize your website to lead your viewers down the customer journey. Serve personalized content based on transactional and behavioral triggers. Use data to drive revenue by serving the most relevant content at the right time. Using advanced reports and testing features you can see for yourself what your customers are interacting with, and more importantly what drives their behavior to conversion. Recovery Emails, such as Cart and Browse Abandonment, will redirect lost customers back to your website. Recovery emails include product images, descriptions, and pricing. Add Browse Abandonment Recovery to bring back even more shoppers (for an extra 3% sales uplift). Personalize your emails with contextual content that engages your readers at the point of open. Add live pricing and Product Recommendations to serve the most relevant content at the right time. Hybris provide software for digital commerce, which includes multichannel eCommerce and product content management software. Their focus is on commerce, marketing, billing, service and sales.